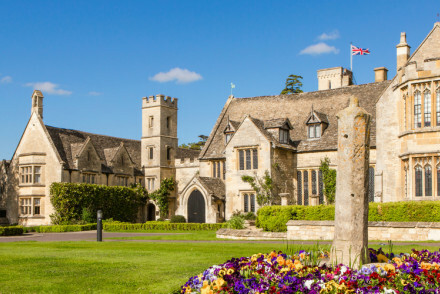 England's most complete Regency town has shrugged off its reputation as staid and conservative and makes an ideal and very stylish base for touring the Cotswolds, Stratford upon Avon and Bath. 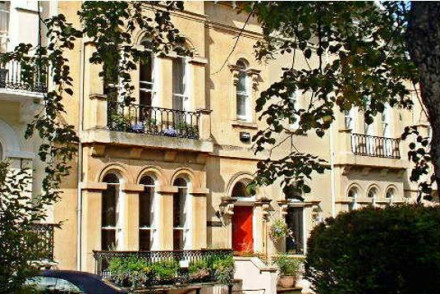 It boasts a wide range of acommodation and the best places to stay in Cheltenham can offer something for everyone, from those on a tight budget, to those seeking decadent luxury. Regency town houses characterised by intricate ironwork balconies and painted stucco facades line the historic Promenade, squares and terraces of the town and many have been converted to hotels and snart B&Bs. Stroll around Cheltenham's award-winning gardens littered throughout the town, granting visitors a tranquil space amidst a bustling town. Explore the beautiful Montpellier district, adorned with a fantastic selection of shops, restaurants and bars ensuring no shortage of entertainment for visitors of all interests. Visit Cheltenham racecourse, one of the most historic courses in the world. With excellent facilities, the course also hosts other events ensuring that there's something for everyone. Take an historic journey aboard the Gloucestershire Warwickshire Heritage Steam Railway through the stunning Cotswolds stopping at authentic Great Western Railway stations. Enjoy a great day out with the family at the Cotswold farm park - featuring not only traditional farm animals but also rare breeds, ensuring an educational and hands on experience for all involved. 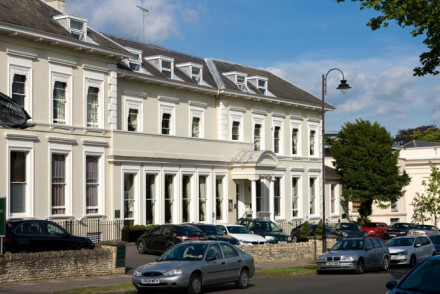 The best places to stay in Cheltenham range from trendy hotels to warmly welcoming privately run guesthouses to a branch of the funky budget Big Sleep hotels. For those on a tight budget, one of the best places to stay in Cheltenham, undoubtedly has to be The Big Sleep. Superbly located in the Regency heart of town, it offers brilliant value for money (rates include a continental breakfast) with a range of minimalistic rooms boasting a wide range of facilities. Great service too. 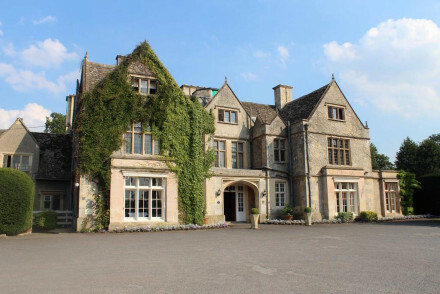 If you're heading for the races, then book Ellenborough Park. Just on the outskirts of town, and a short hop from the racetrack, it has all the amenities you could possibly think of. Luxury comes as standard and the restaurant boasts 3 AA Rosettes, but it's certainly not cheap. Hanover House is a city centre family run B&B, just minutes from the shops, bars and restaurants. Come here for bedrooms full of books, paintings and bright rugs and throws. Great for couples and families alike, No. 38 The Park is a beautiful Georgian townhouse hotel set in a park off the town centre. Rooms are plush and spacious, many being fitted with beautiful roll tubs. Perfect launchpad for exploring the spa towns, lovely Georgian streets, or even a day trip into the Cotswolds. Elegant and understated with a cool twist. 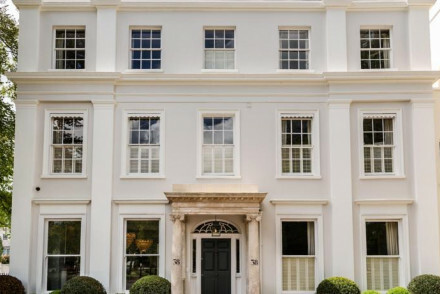 For a luxurious city break The Cheltenham Townhouse is a regency property located in a leafy corner, just five minutes walk from Cheltenham centre. Rooms are decorated in neutral palettes with big beds, soft furnishings and spacious bathrooms. There are also five studio apartments. A luxurious, central stay and excellent value for money. 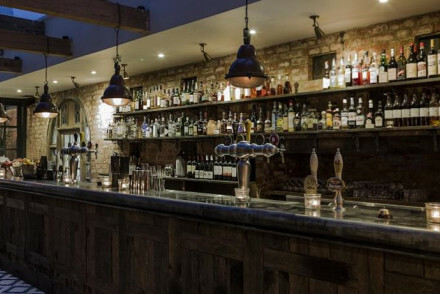 Book Hotel du Vin for their large comfy beds and renowned large power showers. Plus there's a great brasserie and lively bar. No. 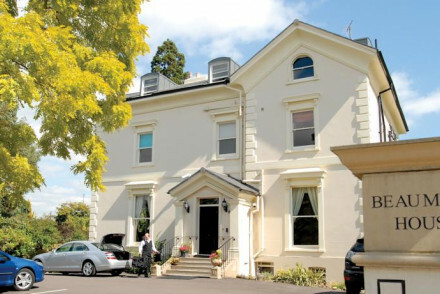 131 is attractive townhouse hotel in the heart of Cheltenham. The beautifully decorated rooms with white and pastel grey colours and are appointed with stylish furnishings. Have a drink in the atmospheric bar before sampling some delicious locally sourced produce at the hotel's restaurant. A Georgian gem. For visitors looking to explore the Cotswolds and the town, Beaumont House is a five star hotel in a 19th century country house. Vibrant rooms styled with Asian or African accents have big bathrooms and elegant furniture. Great breakfasts served by attentive and friendly staff. Large gardens and off-road parking. A charming choice to explore Cheltenham and the Cotswolds. The Bradley - located in the desirable Montpellier district of town this Regency house has been in the same family for over 100 years. Rooms are decorated in a traditional Edwardian style with antiques, rich fabrics and four poster beds yet with all modern amenities and bathrooms. A local breakfast is served. Fly to Bristol Airport - the nearest major airport to Cheltenham, situated 83km (52 miles) away with a range of connections to Europe. Or you can arrive by train, into Cheltenham Spa train station, where you'll also find CrossCountry trains providing onward links to the rest of Gloucesterhsire. or consider some of the charms of the best places to stay in the Cotswolds? Great value for money with a town centre location and contemporary design throughout. Simple rooms some dormitory style and a bar that serves up drinks and refreshments. Well sized meeting room and extensive breakfast buffet. Ideal for exploring Cheltenham on a budget. Value chic - An ideal budget option, just a ten minute walk from the centre and boasts special rates at local restaurants. Sights nearby - Visit the Pitville Pump Rooms and learn a little of their history. 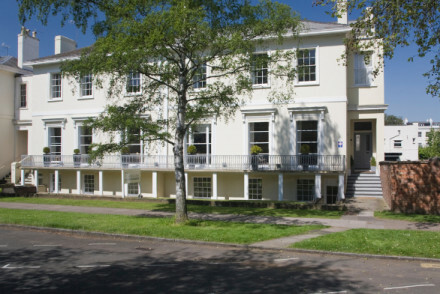 Regency property located in a leafy corner, just five minutes walk from Cheltenham centre. Rooms are decorated in neutral palettes with big beds, soft furnishings and spacious bathrooms. There are also five studio apartments. A luxurious, central stay and excellent value for money. Sights nearby - The Pittville Pump Room (the UK's largest spa building) and Cheltenham Town Hall are both worth a visit. Located in the desirable Montpellier district of town this Regency house has been in the same family for over 100 years. Rooms are decorated in a traditional Edwardian style with antiques, rich fabrics and four poster beds yet with all modern amenities and bathrooms. A local breakfast is served. Sights nearby - The period properties of Sudeley Castle & Gardens, Snowshill Manor, Hidcote Manor and Lodge Park are all worth a visit. Great walks - Lineover Wood & Ravensgate Hill, just on the outskirts of town, have beautiful vistas of the English countryside. Restrictions on children - Children above the age of 11 are welcome. Five star hotel in a 19th century country house. Vibrant rooms styled with Asian or African accents have big bathrooms and elegant furniture. Great breakfasts served by attentive and friendly staff. Large gardens and off-road parking. A charming choice to explore Cheltenham and the Cotswolds. Elegant and instantly welcoming B&B in the centre of town. Full of warmth, colour and personality. 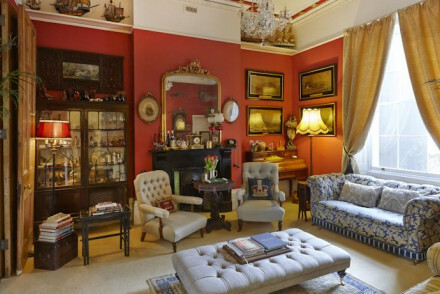 Only three rooms in this intimate family home full of antiques. Traditional breakfasts served in a spacious Victorian dining room on blue and white china. A charming base for local exploring. Hideaway - A cosy little home from home in a Grade-II listed Victorian townhouse with welcoming drawing room and open fires. Great walks - Excellent walking nearby in the Malverns or the Forest of Dean. A grand Country House, now an elegant hotel and spa, set just outside the city of Cheltenham and with easy access to the Cotswolds. Spacious rooms are traditionally dressed with chintz fabrics and patterned wallpaper. An indulgent spa and superb restaurant makes this a fantastic weekend break. Total relaxation - A tranquil country house complete with spa, ideal for rejuvinating weekends away. Sights nearby - Explore the pretty streets of Chipping Campden, famed for its Cotswold beauty. Great walks - Take long walks through the picturesque Cotswold countryside. 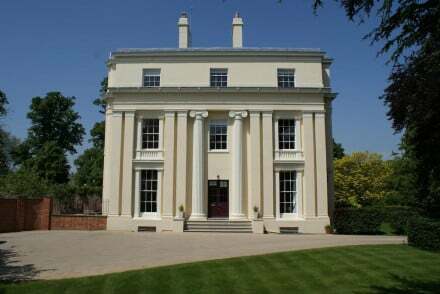 An elegant Grade II listed Georgian property overlooking the glorious Pittville Park. Offering just three superbly renovated and very spacious suites. The warm welcome, grand interiors and exemplary breakfasts makes this property well worth a visit. City Style - An elegant and intimate choice for a city break. Sights nearby - Discover the majestic Pittville Pumprooms, directly across the park from Ravenhurst. Attractive townhouse hotel in the heart of Cheltenham. The beautifully decorated rooms with white and pastel grey colours and are appointed with stylish furnishings. Have a drink in the atmospheric bar before sampling some delicious locally sourced produce at the hotel's restaurant. A Georgian gem. Foodies - Gourmands will be in heaven- excellent locally sourced cuisine, a fantastic wine and cheese room and a broad range of cocktails. Romantic Break - An ideal romantic getaway with chic suites, deep soaking tubs, vibrant bar and fantastic restaurant. Sights nearby - Explore Cheltenham, a beautiful spa town packed with colonnaded terraces and grand gardens. Great walks - Take a trip to the Cotswolds for country walks and pretty honey-coloured villages. Beautiful Georgian townhouse hotel set in a park off the town centre. Rooms are plush and spacious, many being fitted with beautiful roll tubs. Perfect launchpad for exploring the spa towns, lovely Georgian streets, or even a day trip into the Cotswolds. Elegant and understated with a cool twist. Families - Bring the kids and the pooch- all are catered for with babysitting services, cots, special dog beds, bowls and treats! Romantic Break - A hip spot to getaway from it all, with in room rolltop baths, plush bedding, cool interiors and delicious food. Sights nearby - Sudeley Castle is six miles away and well worth checking out for anyone with an interest in history. Birdwatching - Good stopping point for those on a birdwatching trip to the Cotswold. An old townhouse turned designer hotel in the fashionable district of Montpellier. Rooms feature romantic dark hues, Egyptian cotton sheets and in room freestanding baths. 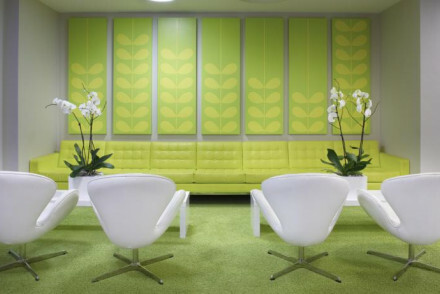 Enjoy the Brasserie food, buzzy bar and pampering spa services. Ideally placed to easily access Cheltenham and its surrounds. Local exploring - Well placed in the stylish Montpellier district, perfect for exploring the historic spa town and famous racecourse. Total relaxation - Bask in the glorious spa, plush suites, pampering service and fine dining at the trendy in house restaurant.